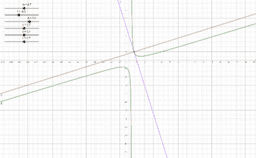 Here I collected the graphs, their tangent lines and normal lines. The applets were created by my students. These applets were their assignments. Feel free to inform me about the incorrect applets.